This piece from Dr. Shulaw was previously posted on the web page about 8 years ago. However, it contains a lot of valuable information as many producers here in the state of Ohio transition into the winter lambing season. Check out this article to refresh yourself on the dangers of the starvation/hypothermia complex. Understanding this complex will help you as a producer better prepare yourself for potential issues during this lambing season. The starvation/hypothermia complex usually comes about when multiple contributing factors are present and not just the simple occurrence of cold weather. 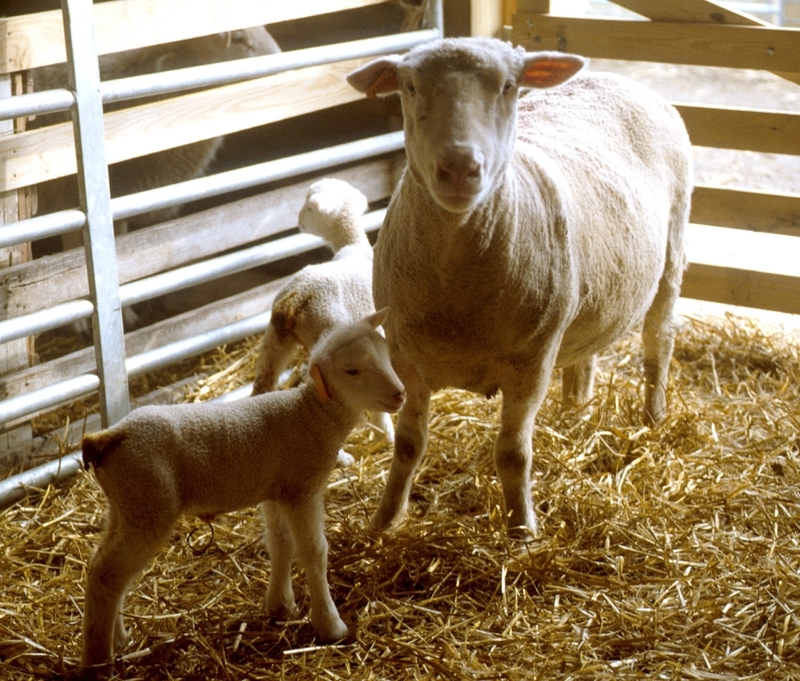 Some of these include failure of the ewe to care for the lamb, difficult birth resulting in a weak lamb, bacterial mastitis in the ewe, “hard bag” in the ewe caused by ovine progressive pneumonia (OPP) virus, and several infectious causes of abortions which also may result in live, but weak, lambs. Most producers will be confronted with the occasional hypothermic lamb. 1. Move ewe and lambs to shelter or, if the hypothermia is severe, remove lambs from the ewe. 2. 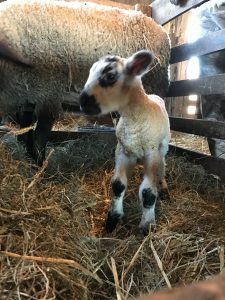 PRIOR TO WARMING, lambs more than five hours old with severe hypothermia (< 37°C, 98°F) should be given an intraperitoneal injection of a warm 20 percent dextrose (glucose) solution at a dose of four to five milliliters per pound of body weight. The injection can be given by the following procedure: (1) hold the lamb by the back legs in a hanging position, (2) disinfect the injection site that is located one inch either side and one inch behind the navel, (3) slowly insert a 20-gauge, one inch sterile needle, with the syringe containing the dextrose attached, into the abdomen, and 4) direct the injection toward the rump. 3. Towel-dry wet lambs. Supplement with heat or warm in a warming box using dry heat, e.g., a hand-held hair dryer or heat lamp. Temperature in the box should not exceed 103°F. 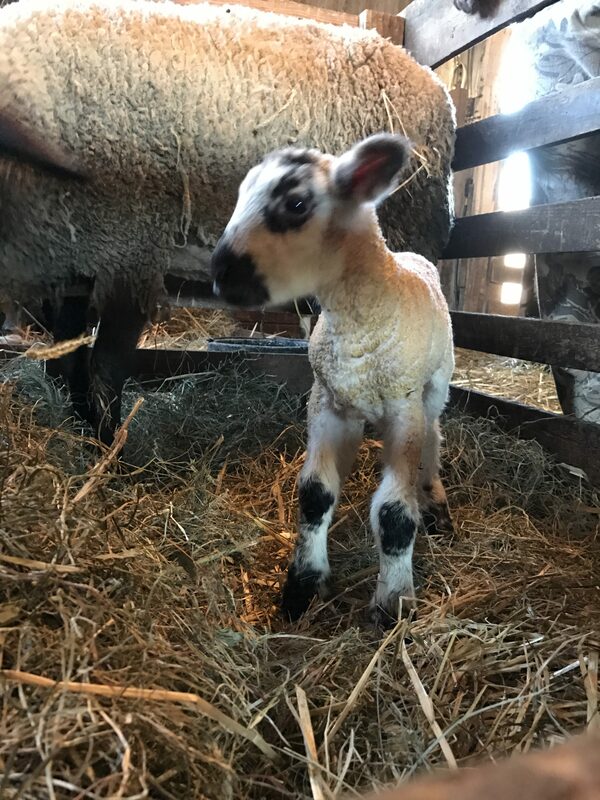 Avoid overheating lambs by affixing a thermometer to the inside of the box and checking the lambs and the box thermometer regularly, at least every 30 minutes. Lambs should be warmed to 99°F. 4. Tube feed colostrum at the rate of 20 to 25 milliliters per pound of body weight per feeding after the lamb has been warmed (30 milliliters is approximately equal to one fluid ounce). Lambs unable to nurse on their own should receive this amount of colostrum by stomach tube three to four times during the first day of life. 5. Return the lambs to the ewe when rectal temperature is normal (usually one to three hours), and they can stand and nurse on their own. If lambs are still weak after treatment, they should be fed regularly by stomach tube until they are strong enough to join their mother. Your veterinarian should instruct you in the technique of intraperitoneal injection and can provide you with sterile glucose solution. If you find yourself unprepared, tube feeding the lamb a warm (102 F) corn syrup solution (like Karo®) may be helpful. Two ounces of a 50:50 mix of corn syrup and warm water through a stomach tube will provide both heat and readily available glucose to a cold lamb. This can be repeated hourly or so if the lamb appears to be responding. Moderately hypothermic lambs may respond to warming them and tube feeding with milk or colostrum. If the ewe has no milk and you can’t get milk from another ewe, milk from your refrigerator that has been warmed to body temperature can be substituted safely. Although it is possible to use cow or goat colostrum as a substitute for ewe colostrum, shepherds should carefully weigh the risks of doing so. Colostrum from outside sources, including other sheep flocks, can bring unwanted disease causing bacteria and viruses to the farm. Some examples include Johne’s disease and salmonella, and very recent research has suggested that scrapie may be transmitted by milk or colostrum (1,2). Therefore, if necessary, it is recommended that you use colostrum/milk from ewes in your own flock prior to acquiring outside sources. A common practice of most shepherds is to collect some colostrum from the first ewe that lambs in the flock and place the colostrum in the freezer for future use during the lambing season. Remember, when warming up the frozen colostrum, use a warm water bath to do so. DO NOT use a microwave as it will denature the proteins and antibodies in the colostrum. 1. Lacroux C et al. Prions in milk from ewes incubating natural scrapie. PLoS Pathog. 2008 Dec;4(12):e1000238. Epub 2008 Dec 12. 2. Konold T et al. Evidence of scrapie transmission via milk. BMC Vet Res. 2008 Apr 8;4:14. Posted by Braden Campbell at 8:00am December 11, 2017 Posted in Health and tagged Health, Management. Bookmark the permalink.